Being artistic is just sort of in my blood, so I guess I was born with a broken mold. I was very lucky to have had some excellent and encouraging teachers when I was in school. I think the first one was the French teacher that I had from 6th to 8th grade who everyone called, Madame. She was fantastic. Every class was like watching a performance, and she could make us laugh while she was speaking a language that we didn’t know yet. Needless to say, her humor made me, and I’m sure most of the rest of the class, really want to understand what was going on. It made me want to learn French. Every day before class, we got to pick out what we wanted to wear. There were boas, berets, sparkly dresses, old suit jackets, flowers…all sorts of things. We were called by the French names we chose, and it was a blast. She knew that I liked art, and she was always encouraging me to utilize it. A couple of years ago, I was taking an intensive at The Second City in Chicago, and I couldn’t believe it when I walked in and saw her sitting in my class. I also couldn’t believe that she actually remembered me after all of these years. It was a fun reunion, and we ended up carpooling to every class. She doesn’t teach anymore, but it made me really happy to know that she is still putting on performances. Another standout for me is a professor that I had in graduate school (for English Literature; it wasn’t an art program) who came into my life at a time when I was on the verge of making some very big decisions. Allowing me to incorporate my artistic interests into the class may have tipped the scale that sent me rolling off to New York. There were many reasons that I chose to pursue the arts instead of getting a “real” job, but this professor really made it hit home how important the arts always have been throughout history, and still are to this day. All in all, I was champing at the bit to pursue the arts as a career, and these teachers assisted in making me feel confident that the arts are not only important, but crucial. Art is a form of communication, and I believe that it’s as necessary a school subject as learning to write. I am very thankful. I am a Producer/Actor for an all-female Shakespearean theatre company called The Tempest Ladies, and part of our mission is traveling overseas (primarily Istanbul, as of now) to schools in order to make Shakespeare more accessible in a fun and creative way. It gives children the opportunity to learn about Shakespeare and his plays through movement, character/relationship building and performance as opposed to sitting in a classroom only analyzing the text. We are based out of and perform in New York City, and we are currently talking about bringing our productions and workshops to underprivileged schools in the area as well as other cities abroad. “I think that one of our greatest responsibilities as theater providers,” asserts Angelina Fiordellisi, “is to sensitize the tribe . . . deepening our primal connections, our primal needs, our primal impulses and what Shakespeare calls ‘holding the mirror up to society’.” This poignant insight is particularly significant since the tragic course of events this past week in Newtown, Connecticut. On November 19th, 2012 First Online With Fran featured Artistic Director and founder of the Cherry Lane Theatre, Angelina Fiordellisi. Listen to her reflect on the work at the Cherry Lane Theatre, most notably the 2013 Mentor Project, among others, and how they contribute to cultivating an urban artist colony, honor its ground-breaking heritage, create theater that illuminates contemporary issues and transforms the human spirit. First Online With Fran was shot and edited by The New York Film Shop, Andrea Bertola, Artistic Director. In July 2010, Congress designated the second week of September as National Arts In Education Week to promote and showcase the immense role arts education has in producing engaged, successful, and college and career-ready students. To that end, First Online with Fran is launching The First 100 Stories Campaign. Let’s hear it from you: Teachers! Students! Graduates! Parents! Artists! Fill out the following form to submit your testimonial! In July 2010, Congress designated the second week of September as National Arts In Education Week (add link) to promote and showcase the immense role arts education has in producing engaged, successful, and college and career-ready students. 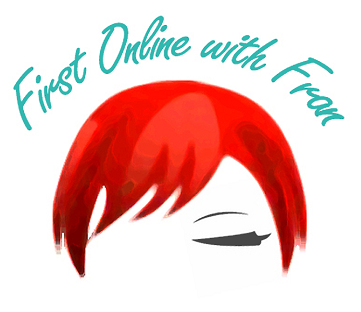 To that end, First Online with Fran is launching The First 100 Stories Campaign. The Arts continue to be cut from school curriculums across the nation. Despite arts advocacy groups’ efforts to prevent the decline of arts inclusion, the budgetary solution remains to be that the arts are perceived as extra-curricular and disposable. In Chris Cleave’s novel Little Bee, the central character decided to right a wrong by collecting stories: “One story makes you weak. But as soon as we have one-hundred stories, you will be strong.” Similarly, we can do the same for the Arts. The collection of testimonials will be forwarded to Arts Education Partnership who will serve as a national hub for information on how the arts are going strong in our nation’s communities and schools and strategies for getting involved in arts education and supporting the arts in your community. In July 2010, Congress designated the second week of September as National Arts In EducationWeek (add link) to promote and showcase the immense role arts education has in producing engaged, successful, and college and career-ready students. To that end, First Online with Fran is launching The First 100 Stories Campaign. Commentary: Could we be at a tipping point for arts education? Nationally and locally, big and small collaborative movements are happening that are generating momentum to put arts learning back on track. Perhaps the largest local movement on this front is the Seattle K-12 Arts Learning Collaborative. The goal of this citywide effort is that all students in all Seattle Public Schools (SPS) have opportunities to learn through the arts, to succeed in school and in life. The community has come together in a powerful way — driven by the Seattle Office of Arts and Cultural Affairs and SPS with parents, the funding community and arts leaders such as Arts Corps, ArtsEd Washington, Arts Impact, PONCHO [Patrons of Northwest Civic, Cultural and Charitable Organizations] and Seattle Art Museum leading and owning the charge. Fill out the form to submit your testimonial!